WinRar softwares is popular for compressing and archiving your files on your computer. 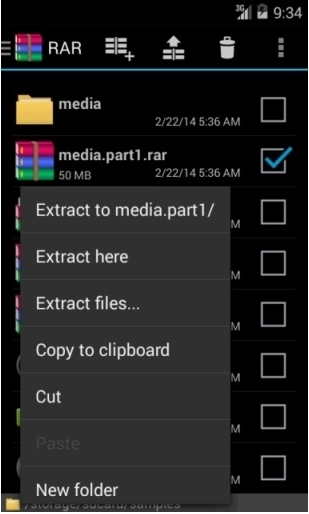 But if you are an Android mobile user, you can now open RAR files on your Android device with the official WinRAR application. The app was first launched as beta version and now the complete app released with new features including RAR 4x compression support, Archive History, Notifications, Additional languages and etc. 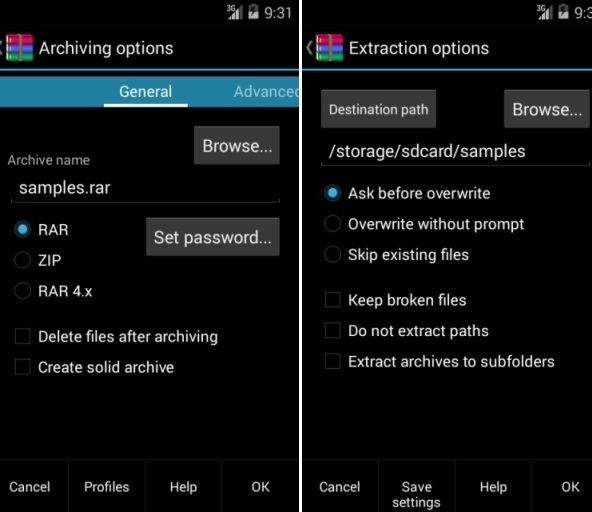 The WinRar app for Android is developed by RAR Labs Company and the app is simple to create RAR and ZIP files easily within your device. Also you can extract or unpack many types of archive files including RAR, ZIP, TAR, GX, BZ2, XZ, 7Z, ISO and ARJ archives. You can choose multiple files to extract on same folder or on a different location. The app provides the option to repair your damaged RAR and Zip files also. Unpack RAR, ZIP, TAR, GZ, BZ2, XZ, 7z, ISO and ARJ archives. Additional Support for ZIP files and supports ZIPX with BZIP2, LZMA and PPMd compressions Unrar support extended for RAR5, UDF and ISO9660 files also. It uses multiple CPU cores to compress data for quick process. The app packed with full functions similar to desktop WinRar software and works well. The app is now available to download for free on Google Play Store.